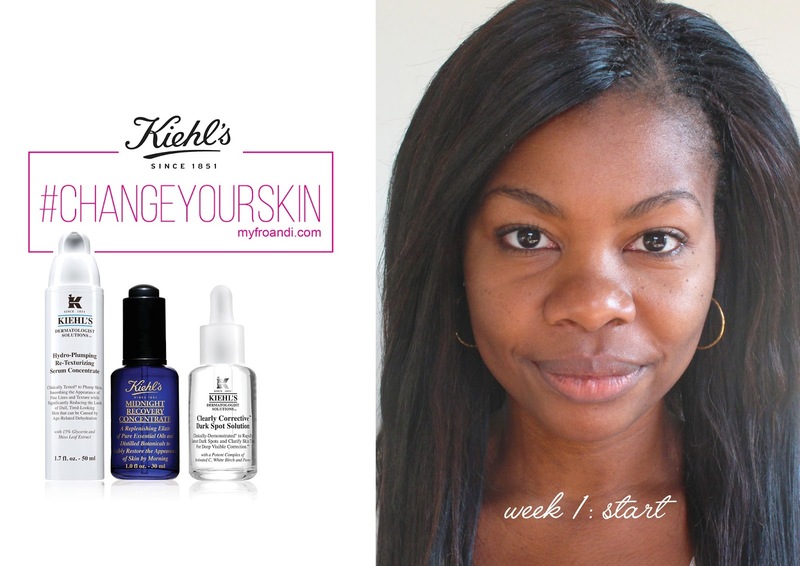 I’m super excited to be participating in Kiehl’s and Beauty Bulletin’s 28 day #ChangeYourSkin challenge. Almost every woman has a wish list for her skin, so who would pass up the chance to try and improve theirs in 28 days? Not me! For the next four weeks, I’ll be bearing it all and documenting my journey to better skin with skin care legends Kiehl’s. Wearing no make up in my photos, just me and Kiehl’s, I’ve accepted their challenge to see a visible difference in my skin in just 28 days. Quite a bold promise right? There are plenty of reasons for me to believe. Kiehl’s history dates back to 1851, in New York as a pharmacy. Their products are famed to contain ingredients that are naturally-derived and their word-of-mouth reputation is pretty flawless. I’ve heard and read nothing but exciting things about them and the efficacy of their products. They’re also known for their “Try before you buy” store policy. Their price point is quite high for the average person, so the sampling has become quite key for new customers. This popular elixir is 99% naturally-derived and is formulated to repair and restore the skin during your beauty sleep. Your skin’s optimum time to absorb ingredients for regeneration is between midnight and 4am, when there are less environmental stressors. Applied in the evening, Kiehl’s Midnight Recovery Concentrate is said to nurture and replenish your skin, making it feel softer, hydrated and look less tired in the morning. It contains a blend of essential oils such as Lavender (to sooth inflamed or irritated skin), Rosemary (to retain moisture and brighten skin tone), Geranium (to detoxify and enhance circulation), and Rose (to help soften skin and combat environmental damage from the day). Kiehl’s collaborated with dermatologists to develop a range of products to address more advanced skin conditions. 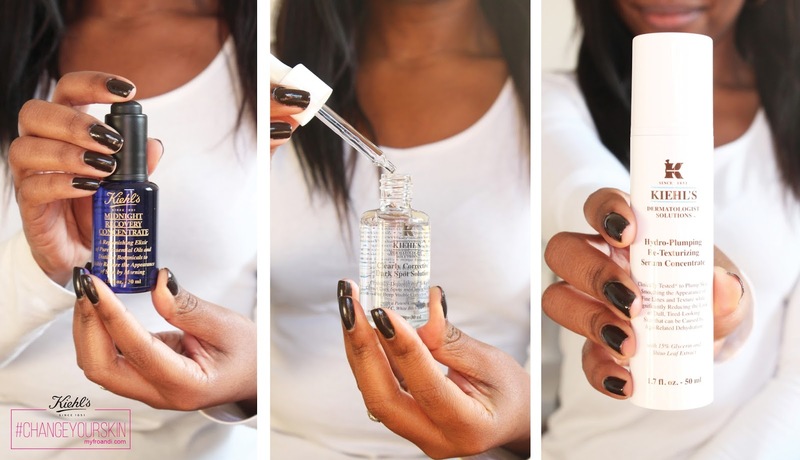 Dark spots, discolouration and hyperpigmentation is a big concern for many women so this solution addresses all of them. Its key ingredient is Activated C, the latest generation derivative of Vitamin C available which helps to fight against unwanted pigmentation. It also contains White Birch Extract (for discolouration correction) and Peony Extract (to enhance skin clarity). Another formula developed with dermatologists, the serum addresses tired and dull-looking skin. As we get older, our skin’s moisture becomes imbalanced and can cause Age-Related Dehydration. This serum helps correct the signs of ageing by restoring moisture to dehydrated skin. The main ingredient in this formula is plant-based glycerin. You know I love glycerin for my hair so I was very excited to read that it’s the key ingredient in this serum. Glycerin is a humectant and absorbs water from the environment into the skin. It’s natural and compatible with skin, helping with your skin’s elasticity. Here’s my before photo, my starting point in this challenge and what I’ll be comparing my weekly progress to. 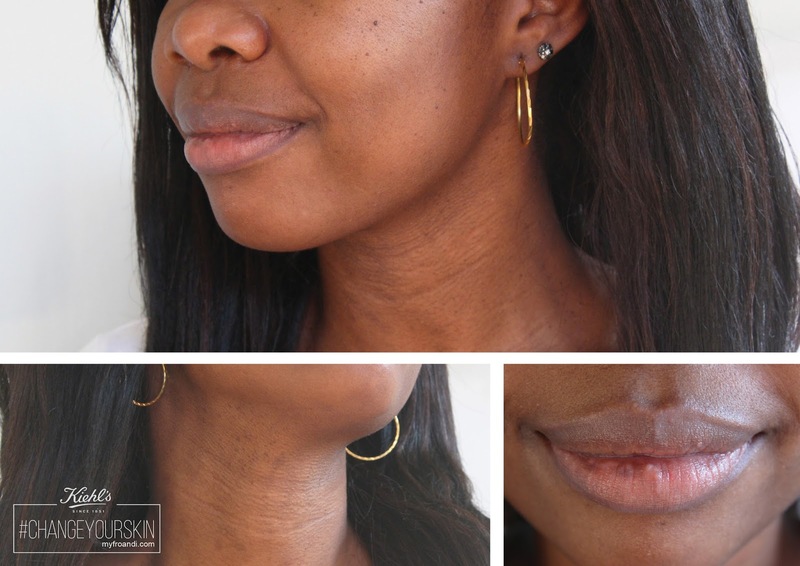 I have dark spots and some discolouration on my neck and jaw area which has bothered me for years. And my lips are also discoloured with dark marks. I know discolouration is a common problem for many Black women so I’m looking forward to seeing a difference here and sharing it with you. My T-zone is also an issue when it comes to staying hydrated. You all know how much the Joburg dries out not just my hair but my skin too. I’m always on the hunt for products that keep it moisturised all day, so I’m curious to see how much more hydrated my skin will be in this challenge. Now you’ve seen me as bare as my blog allows (!) I’ll be updating you weekly with my progress. Here goes! 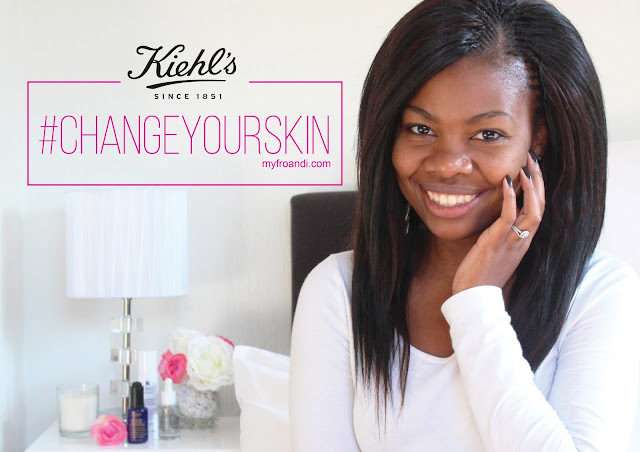 Want to also try the #ChangeYourSkin challenge? Until June 24th, you can grab two serums at any Kiehl’s store nationwide and get the third free! Where can I find a store for these products? I don't know if these products are in TZ, besides my skin would strike to try. Don't think they're available in TZ, as far as I know, S. Africa has the first African stores. We may need to wait awhile til they hit the east!